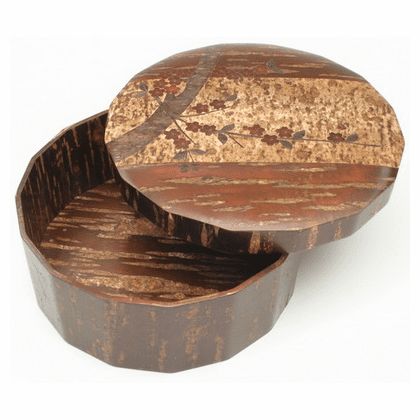 Made of bark from cherry trees and commonly used for storing tea essentials such as, a small teapot, tea cups, tea canisters, and or a tea scoop. Can attractively be used to store most anything you would like to put in it. A collectible show piece. 12-1/4 inches in diameter, 4-5/8 inches tall.